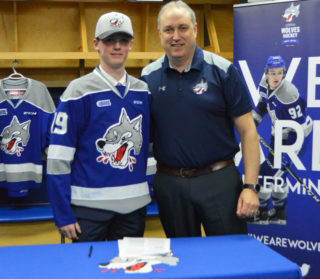 The Sudbury Wolves will be on-hand at the New Sudbury Centre on Saturday February 18th from 2pm-4pm for the annual Hockey Card Autograph session. The event will take place at Centre Court and the first 500 fans will receive a free set of hockey cards. Come on out and meet your favourite players and Howler!